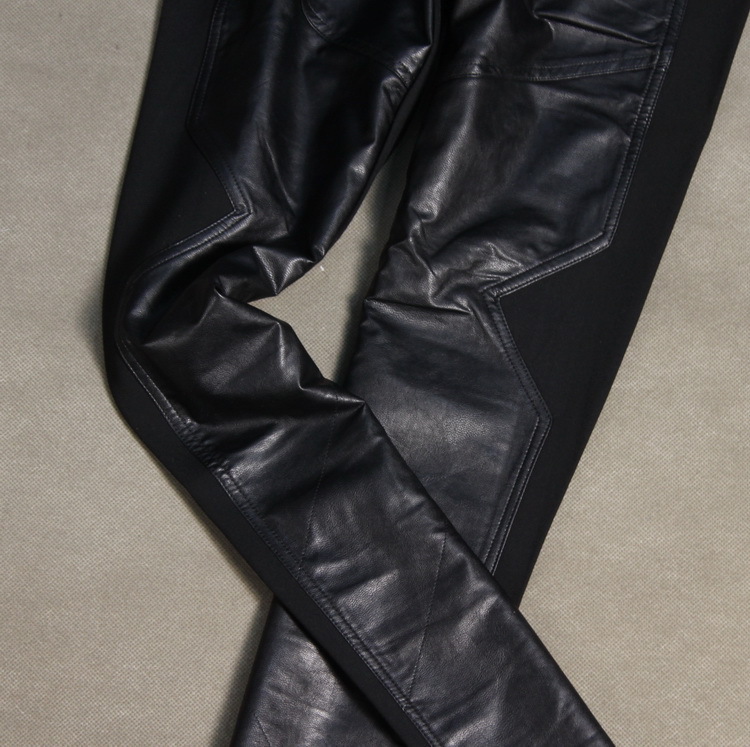 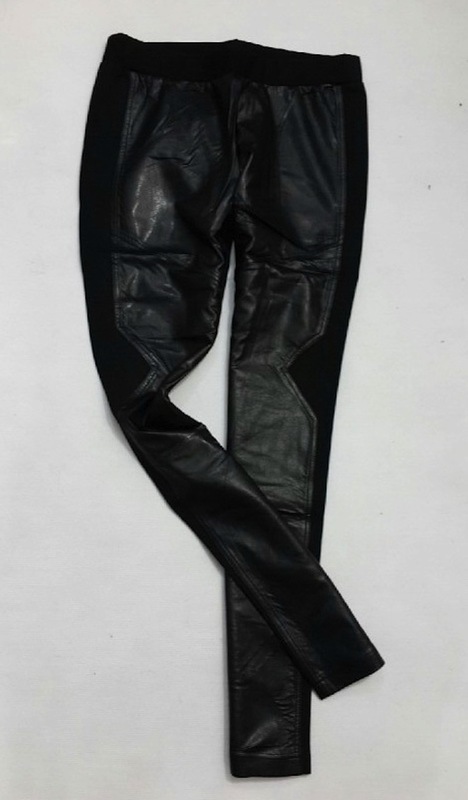 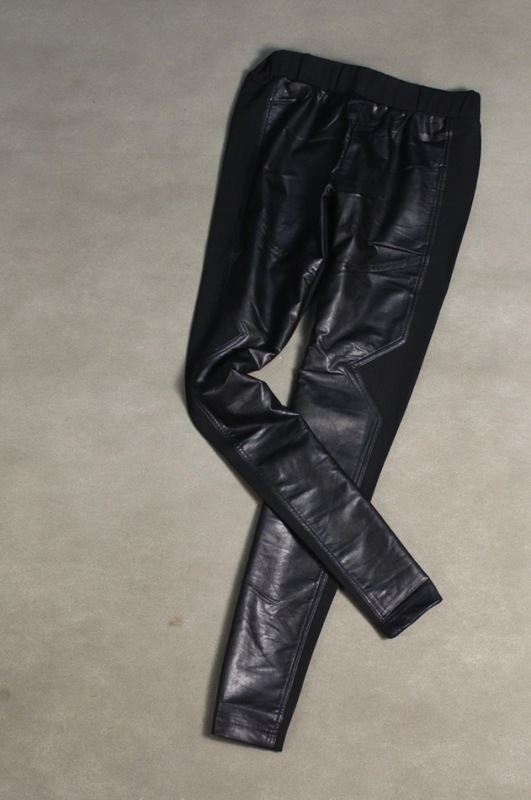 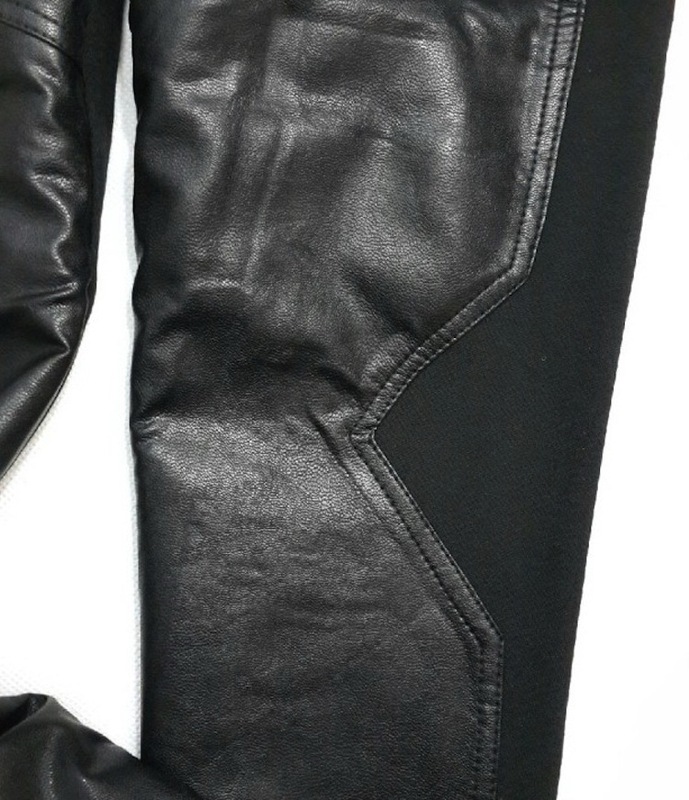 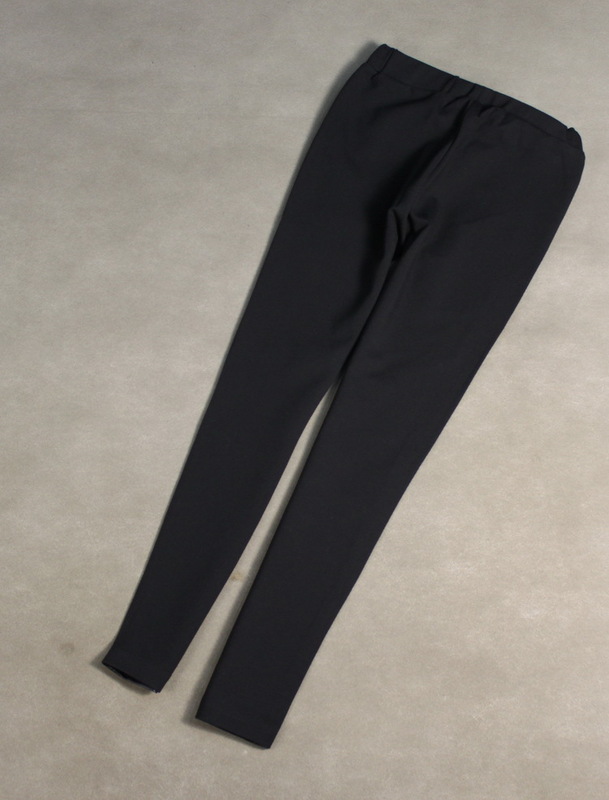 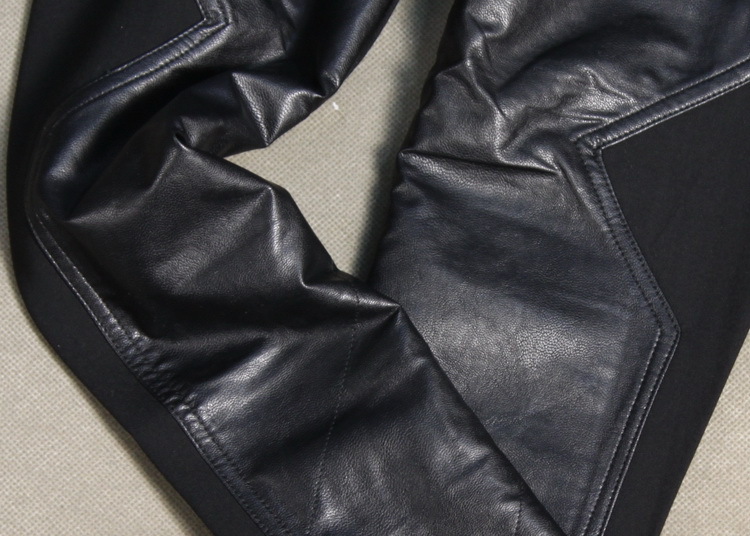 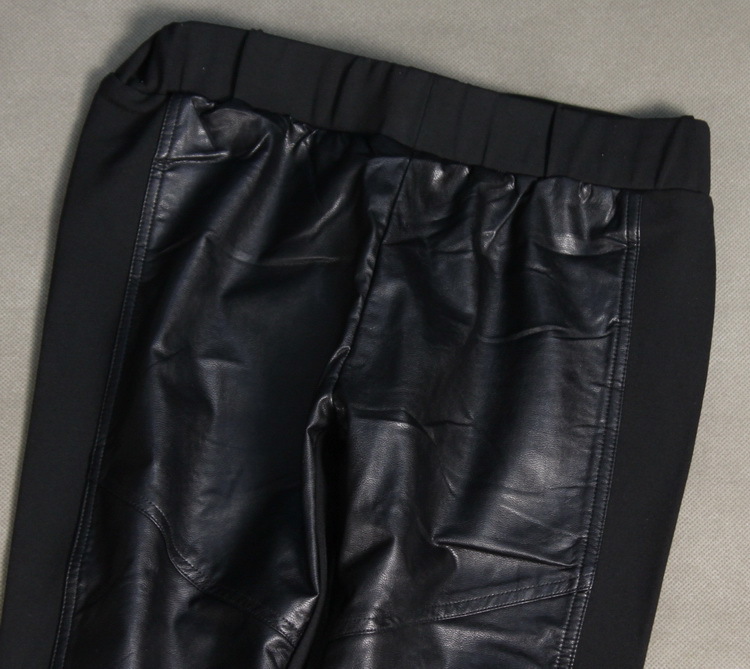 Compact stretch jersey legging, with contrast faux leather front panelling. 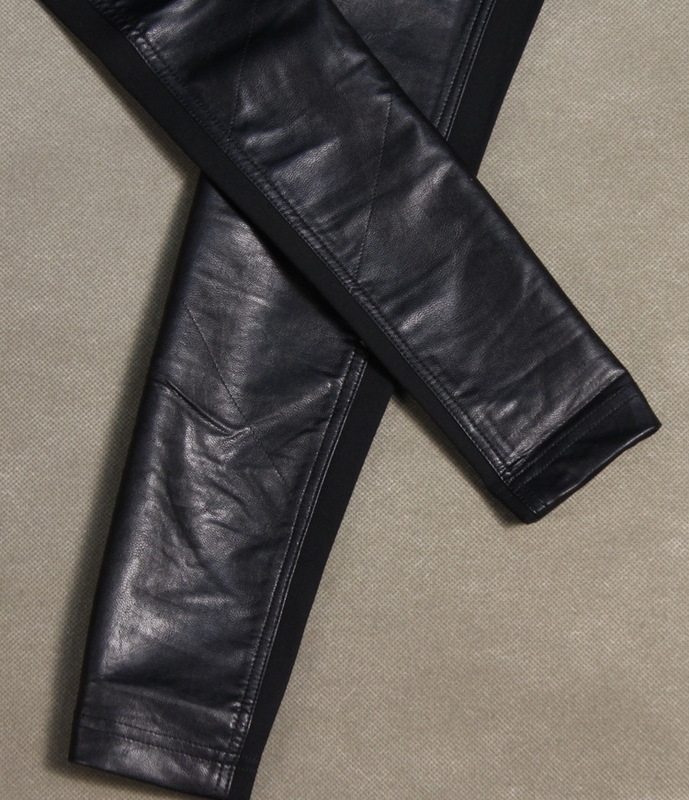 With a glossy faux leather front and stretch jersey back, these leggings will become your go-to pair. 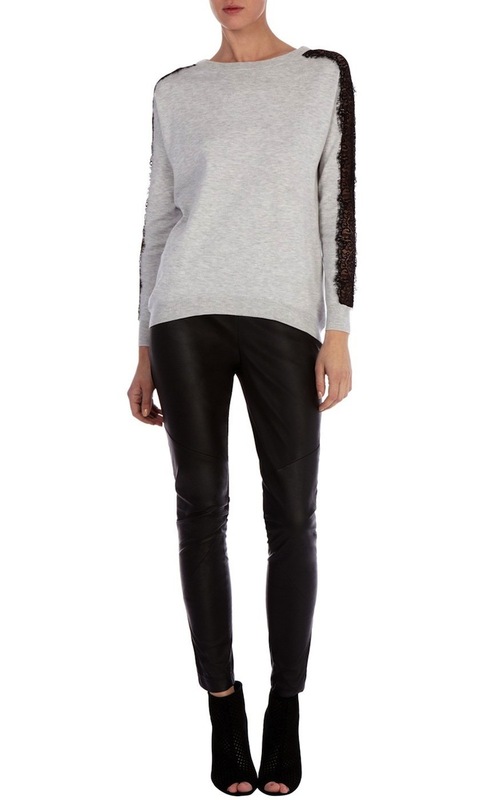 Wear with a loose knit to balance the skinny silhouette.